Jasmine is also known as “queen of the night”. Indian women treasure jasmine essence for its beautiful, seductive fragrance. It is universally recognized as one of the world’s great fragrances. One pound of jasmine oil requires about 1,000 pounds of jasmine. The blossoms must be collected before sunrise to maximize its fragrance. Medicinal Properties: Antidepressant, antibacterial, eczema, muscle pain, sprains. Aromatic Benefits: Uplifting, revitalizing, balancing. Can encourage sensuality, passion and romance. Black Jasmine is the rarest of flowers – found only 2 months in a year and very useful for skin diseases such as eczema, rashes, psoriasis. In 10ml beautiful and unique glass bottles. 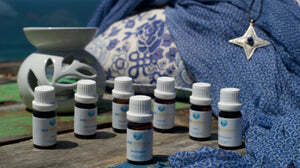 Love Generation has partnered with a family of masters in the art and alchemy of essential oils. For four generations, since 1936, from Persia to Mysore, the family has passed their secrets down from father to son. Love Generation Essential Oils are like no other oil you will find. They are absolutely pure, potent and concentrated and, unlike many oils, completely undiluted by alcohol or carrier oils. Just two drops is all you need for most applications!